Gregg, Shorthall, Stevens, Kenna, McNally, Duggan, Fitzgerald (O'Neill 69), Finn, McWalter, McFaul (Reilly 62), Meenan. Barry Ryan, Byrne, Paisley, Dempsey (Bialek 86), Lynch, Fahey, Harris, O'Brien (Kirby 82), Quigley (Bobby Ryan 73), Fitzpatrick, Guy. 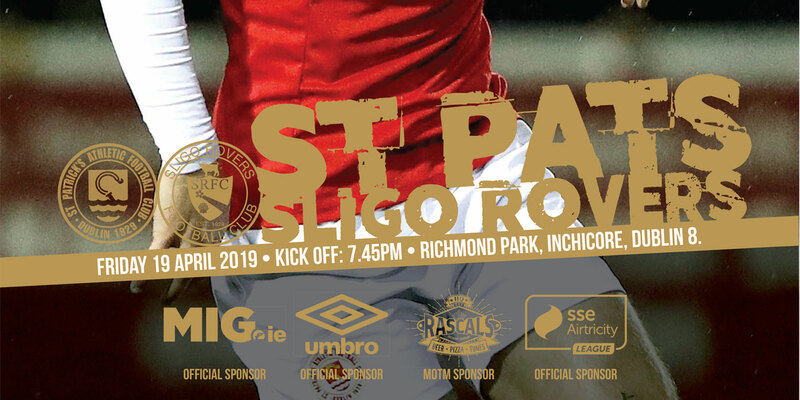 St Patrick's Athletic cut Bohemians' lead at the top of the table to one point with goals from Glen Fitzpatrick, Ryan Guy and Keith Fahey in this south-Dublin derby win at Belfield Park. 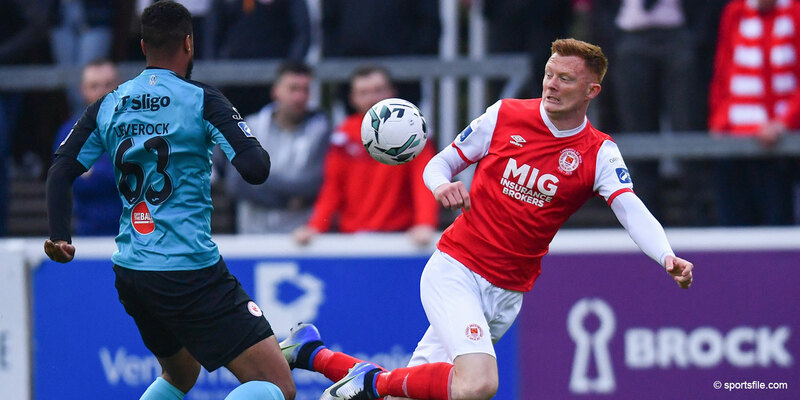 In an eventful game, the first talking point was a yellow card for Pat's Mark Quigley for dissent on seven minutes before UCD goalkeeper Matt Gregg blocked a good effort from Gary Dempsey on 13. On 20 minutes Quigley chased a seemingly lost ball at the Campus end, got it, and sent an inviting ball toward Fitzpatrick in the box but Conor Kenna got his head to it first and cleared the ball. Quigley then went close from a Fahey corner but turned the ball wide. The game sprang to life around the half hour mark and Pat's took the lead on 32. Gregg stopped an effort from Quigley but Fitzpatrick was on hand to beat him with the rebound. It should have been two on 41 but Derek O'Brien headed wide of an open goal from a Guy cross. Damian Lynch then went close for the Saints on 49 minutes with a deft chip into the Montrose end but Gregg got his fingers to the ball. Gregg rescued UCD again on 54 when he denied Fahey. 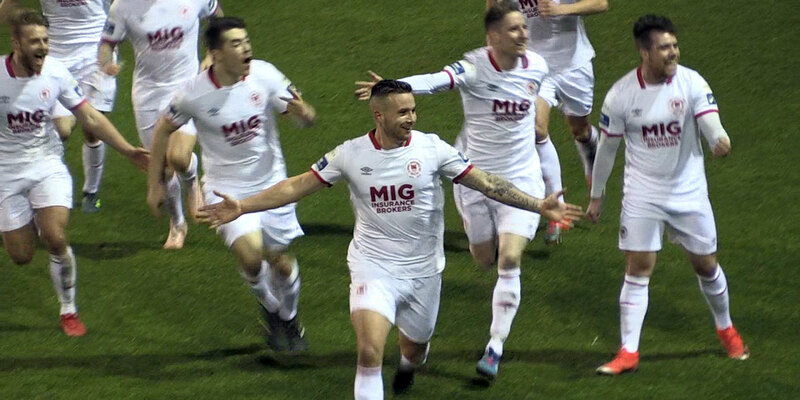 Pat McWalter had a chance to get College back into it on 56 minutes when he darted with the ball from just after the halfway line into the Pat's penalty area but Dessie Byrne neatly dispossessed him. O'Brien then hit the crossbar for Pat's on the hour mark with a blistering shot that Gregg got the lightest of touches on and Gregg saved a Quigley shot with his feet on 68. Pat's doubled the lead on 72 minutes when Guy beat Gregg after Fitzpatrick's shot had hit the post and Fahey had teed up the rebound for him. Fahey then wrapped up the win on 86 with a simple tap-in.